You are here: Home / Celebrity Photos / Taylor Swift Is Beautiful In Black And White At 2014 Billboard Women in Music Luncheon! – Pics Here! Taylor Swift Is Beautiful In Black And White At 2014 Billboard Women in Music Luncheon! – Pics Here! Billboard’s Woman Of The Year, Taylor Swift looked stunning in a black and white dress on the red carpet at the 2014 Billboard Women In Music Luncheon held at Cipriani Wall Street on Friday (December 12) in New York City. Taylor is being recognized as the number one woman of the year by Billboard after the huge success on her latest album 1989, which has sold over a million copies! 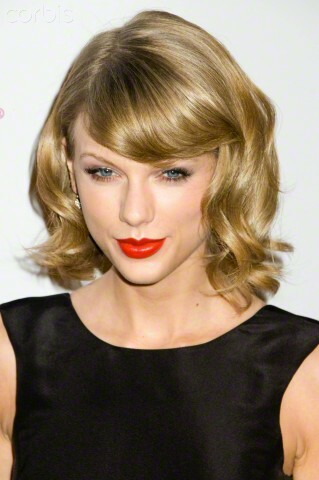 Be sure to check out more pics of Taylor from the event celebrating her in the gallery below! « One Direction Performs “Steal My Girl” At BBC Music Awards 2014! – Watch It Here!